Over the past year I’ve made a real effort to buy less clothing. This might sound peculiar coming a “style blogger” (still not comfortable calling myself that), but I’m trying to invest in more timeless pieces, rather than trendy items. I am definitely still tempted by a hot Zara sale, but before I purchase something, I ask myself, “Will I wear this in a year? In 6 months?” If the answer is no, I won’t buy it. I’m trying to only buy a few high quality (errr sometimes not high quality) pieces each season, rather than a bunch of cheap trendy ones. This season I really wanted to hunt down a statement coat. It was the one item I was looking for at A Current Affair last November. Sadly, I left without finding the perfect one (I didn’t leave empty handed though). But a few weeks ago I attended a vintage event at Housing Works, curated by my girls Pretty In Thrift and Omnia Vintage, and I found this crimson beauty. This baby needs a little bit of tailoring in the sleeves, but at $25 I couldn’t say no. Yeah, you read that right. Twenty-five dollars. I know it’s the end of the season, so buying a coat might seem odd. But right now is actually the best time to buy a new coat because everything is on mega sale! Below I’ve collected some of my favorite statement coats that are on sale—I might also buy this one *shhh*. Lastly, I can’t remember where I got this dress (it’s a few years old), but it’s definitely a knock-off of Céline S/S ’14. 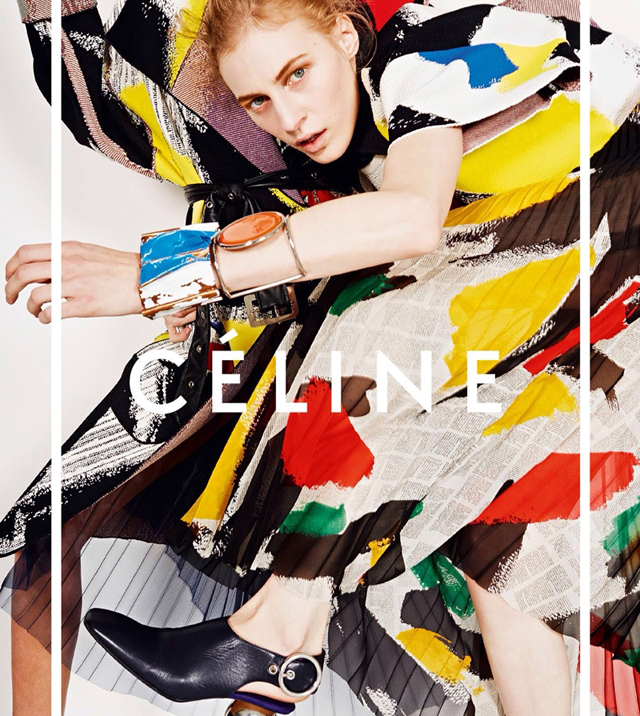 I found out it was a knock-off when a stylish gal complimented my “Céline” at a work event. Insert *blushing face emoji* here. It’s not from Zara, but I vaguely remember them putting out a similar knock-off. Here’s a neutral version from Asos, a pink off-the-shoulder version here, or a color-blocked version here. Where do you fall on the trendy versus timeless scale? Trends can be so much fun, but more of an investment. And, you run the risk of cringing at your outfits when you look at old photos. 👈 I have definitely been there. That coat only 25? what a great deal for this beautiful coat! This coat is DEFINITLY a brilliant choice 😍. I think your style is amazing. That red coat looks so wonderful on you!